Ten prong set round brilliant cut diamonds, measuring 2.00 - 2.00 x 1.20mm (depth est.) 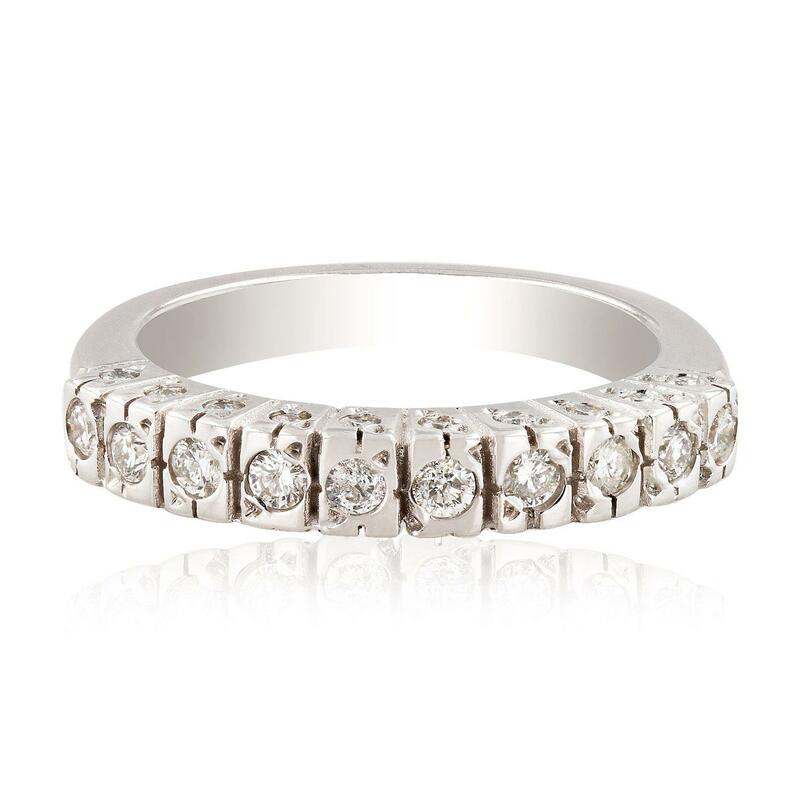 approximate total weight of 10 Stones = 0.39ct. Graded in the setting. Twenty prong set round brilliant cut diamonds, measuring 1.20 - 1.20 x 0.72mm (depth est.) approximate total weight of 20 Stones = 0.22ct. Graded in the setting. Total Weight of Diamonds 0.61ct.